The Advarra team has worked to fully integrate our processes and policies to provide clients with unified capabilities and support for IRB, IBC and global research quality and compliance consulting services. We’ve accomplished some major integration milestones recently and would like to take the opportunity to share some of those achievements with you. All of our activities have been done with you, our clients, in mind—and to provide you with research compliance services of unmatched efficiency and quality. We greatly appreciate your suggestions, collaboration and support throughout the integration process. Have questions about these or any other integration activities? Contact your Study Coordinator or Study Manager or email us. On April 30, Advarra debuted a new, comprehensive website at advarra.com. The website and associated “Altogether Better” brand reflects a unified organization with a strong, integrated approach and a clear focus on partnership and collaboration with clients. The website unites all of Advarra’s research compliance services in a single location, making it easier for clients to learn more about our integrated, seamless IRB, IBC and global research quality and compliance consulting solutions. As of May 1, all new study submissions for initial review are reviewed by Advarra’s IRB. All new study submissions will be made through a single platform, the Advarra CIRBI Platform, and all communications and approvals will be through that same system. (For information on ongoing study review and IRB technology, see “Migration to Advarra CIRBI Platform” below.) This fully integrated approach will provide a seamless, transparent experience to customers and help ensure consistent, quality reviews. Advarra has a strong regulatory organizational structure in place to ensure compliance, consistency and harmonization between all of our IRB panels and determinations. These activities are overseen by the Chief Compliance Officer/Institutional Official and the Executive IRB Chair, as well as the Director of Regulatory Affairs, Director of IRB Services and the Director of IRB Reviews. In addition, all IRB reviews are conducted under harmonized Advarra policies and procedures (see “Harmonized SOPs for Advarra Processes” below for more information). Advarra conducts 10 US and 2 Canadian IRB meetings per week and ad-hoc meetings as needed. Several of these meetings will be comprised of specialized panels focused on device, Phase I, oncology and neurology research. With over 100 IRB members in the US and Canada, Advarra is able to accommodate rapid review timelines for all major therapeutic areas, research phases and other specialty areas. Login to the Advarra CIRBI Platform and click “Reference Materials” to access the latest Advarra IRB roster. 1572s and FWAs will not require an update to reflect the single Advarra IRB. For more information, please review our 1572 Note to File. 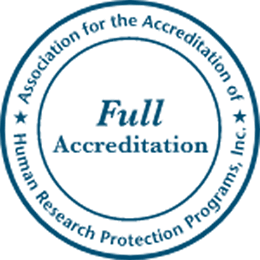 For information on Advarra’s accreditation status, FDA/OHRP registration, and to access our Statement of Compliance, please visit Accreditation and Compliance. Advarra’s SOPs and IRB policies were fully harmonized and implemented on April 30, 2018. By integrating all of our processes across the organization, Advarra provides clients with the efficiencies of a large-scale operation while maintaining an overriding commitment to high-quality reviews and customer service excellence. Since Advarra’s legacy organizations were AAHRPP accredited and had similar policies and procedures governing client reporting requirements, the updated SOPs have little impact on client submission and reporting requirements. The combined Advarra organization uses the technology platform known as the Center for IRB Intelligence (CIRBI), the industry leading submissions and review management system. Over the years there have been over 100 enhancements and user-friendly features added to the platform, customizing it to meet the unique needs of IRB clients. Active feedback from clients will allow Advarra to continue to enrich the platform’s capabilities and features moving forward. Beginning May 1, all new study submissions for initial IRB review are made through the Advarra CIRBI Platform. Advarra is in the process of migrating ongoing studies from the legacy eTools system to the Advarra CIRBI Platform and is working directly with individual clients regarding the migration schedule. If you have questions regarding your study’s migration or are unsure whether your study(ies) have been migrated, please contact the Migration Team. The legacy eTools system will remain accessible for studies that have not yet migrated to the Advarra CIRBI Platform. Submissions for ongoing review activities (e.g., study amendments, continuing review reports, etc.) may still be submitted through eTools until these studies have been migrated to CIRBI or have closed. The legacy WebPortal and SiteAccess systems will also remain accessible through the applicable retention period for study documentation (terminated date plus 3 years) so that clients may download these materials. Advarra will provide clients with advance notification and guidance regarding the eventual discontinuation of the legacy eTools system.